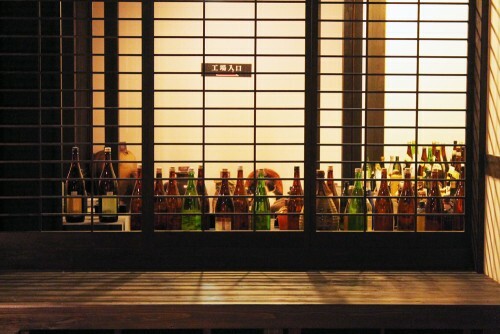 Kagoshima, situated on the southern tip of Japan, is a paradise for shochu enthusiasts. Like whisky and brandy, shochu is a Japanese traditional hard liquor made from various ingredients. The most common base to make this distilled drink is rice, sweat potatoes (called imo in Japanese), wheat, sugar cane and so on. 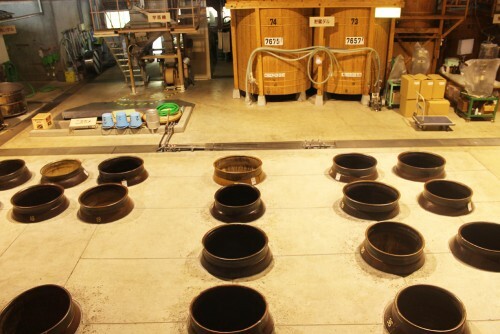 Since each of the base components brings its own unique flavor, authentic shochu, called honkaku shochu, comes in a wide variety of aromas and taste. 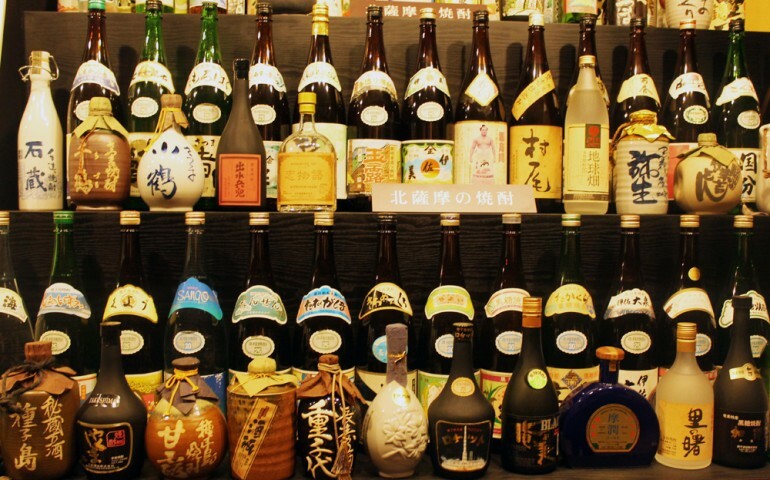 If you are keen on exploring Japanese drinking culture, shochu is an absolute must try. 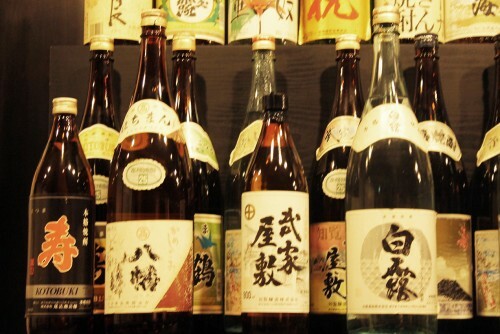 Kagoshima is the major producer of honkaku shochu (authentic Shochu) in Japan. 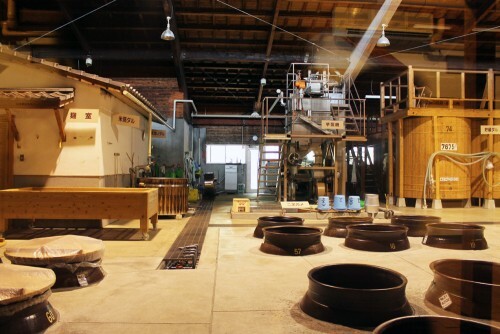 It has a distinguished taste and is made using traditional brewing methods which you can observe during a tour at Satsuma Shuzo brewery located in Makurazaki, outside Kagoshima City. There you will learn about the brewing process, see how it is produced and at the end you will be able to taste a few different types of this alcohol. 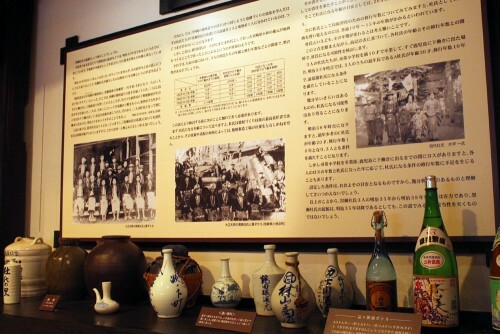 Moreover, if you want to buy a few souvenir bottles, it recommended to purchase them at the factory shop, along with some food products from the local area. 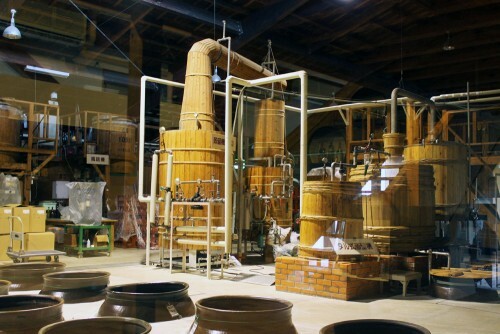 As you learn during the tour, there are two types of shochu liquor: one is made from continuous distillation and the other is produced from single distillation, meaning it preserves a rich flavor and the taste of the base ingredient. 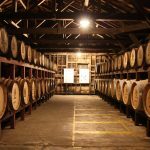 Honkaku shochu refers to single distillation shochu, and it is considered a fashionable and chic drink, and is usually expensive compared to the continuous distillation alternative. 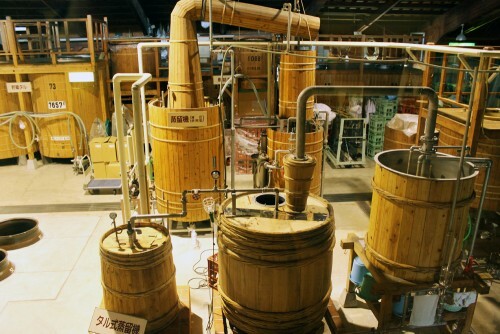 Kagoshima has more than 100 distillers and over 2,000 different shochu options. 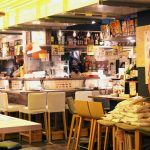 You can taste these diverse bottles at one of the numerous izakayas, a Japanese version of a “pub” where you can drink and order various small tapas-style dishes, scattered around Kagoshima City and in the local areas. 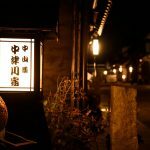 The staff have abundant knowledge and can give you some recommendations for shochu and food pairings. 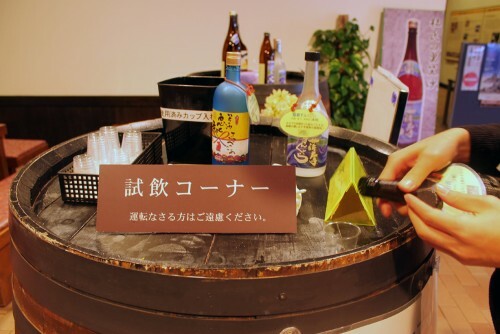 To my own astonishment, the best variety I tried was imo shochu, a sweet potato liquor. It has a sweet aroma so it goes amazingly well with fatty dishes or fried foods such as tender pork and, one of the local specialties of Kagoshima, “satsumaage,” a fried fish cake filled with various ingredients. 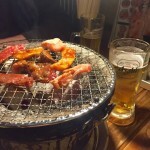 Shochu can be served straight, on the rocks, mixed with soda or water at different temperatures and also used as a cocktail base. 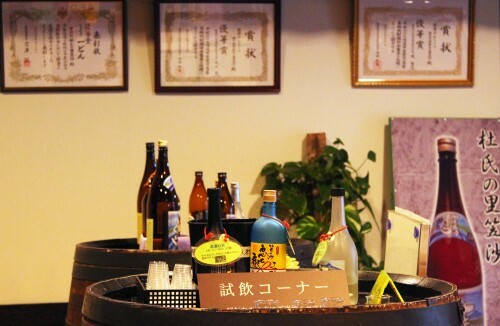 In Kagoshima, it is common to enjoy imo shochu with hot water at a 60:40 ratio. This serving style enhances the natural sweetness and aroma of the sweet potato. However, once you try it you will find your own way of enjoying its rich taste.